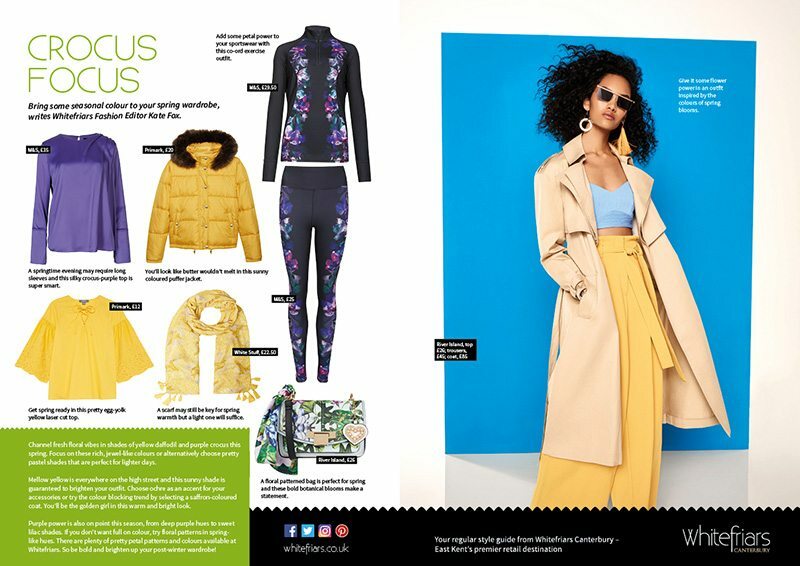 Channel fresh floral vibes in shades of yellow daffodil and purple crocus this spring. Focus on these rich, jewel-like colours or alternatively choose pretty pastel shades that are perfect for lighter days. Mellow yellow is everywhere on the high street and this sunny shade is guaranteed to brighten your outfit. Choose ochre as an accent for your accessories or try the colour blocking trend by selecting a saffron-coloured coat. You’ll be the golden girl in this warm and bright look. Purple power is also on point this season, from deep purple hues to sweet lilac shades. If you don’t want full on colour, try floral patterns in spring-like hues. There are plenty of pretty petal patterns and colours available at Whitefriars. So be bold and brighten up your post-winter wardrobe!